Our Mini Worm Farm is ideal as an educational bin for school kids or a small household. 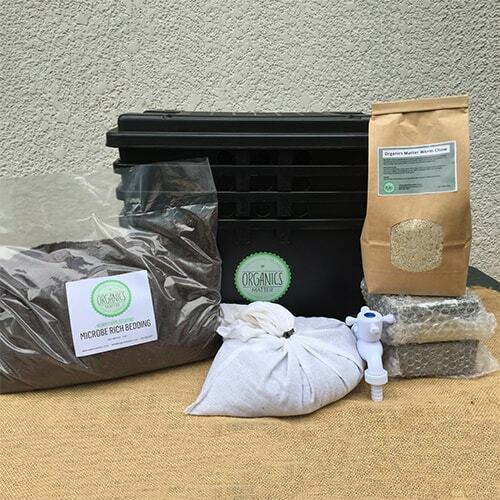 The Mini Worm Farm can be used as a single 25 Liter bin with a lid or you can have additional bins stacked vertically once the bottom bin fills up allowing the worms to travel up towards the fresh organic matter you feed them. 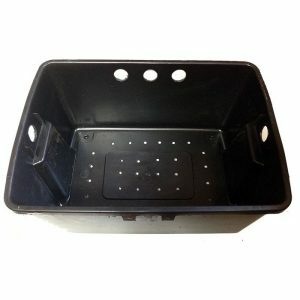 The Mini Worm Farm also comes with a reservoir bin with a drainage tap to collect excess liquid called leachate. This liquid is commonly referred to as “worm tea” and should not be mistaken with compost tea. Leachate should be used with caution as it may contain pathogens. It is best practice to collect any liquid from the reservoir bin daily and use it diluted 1:10 only on non crop plants or discard of it. Ideally you do not want any liquid in your reservoir bin and only use it as a “safety net”.